With IDOC, you submit your financial aid documents online and the College Board provides them to all of your IDOC schools automatically. Phone Scam Alert! The College Board will never call families to sell test prep products, discuss scholarship or financial aid applications, or request personal information. Read more about our security policy. IDOC is a service that collects family financial documents and distributes them to institutions on behalf of the student. 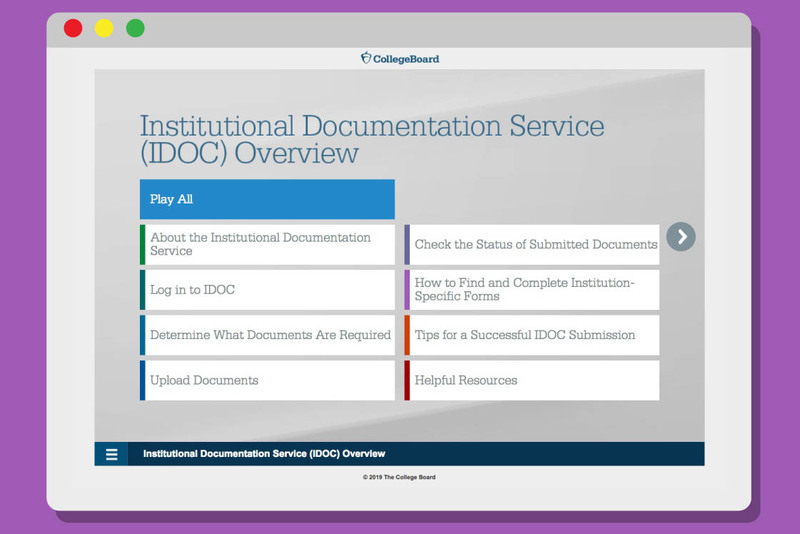 We've built an interactive slideshow to give you step-by-step instructions on how to fill out IDOC. View the slideshow in a new window as you go through these steps in real time. 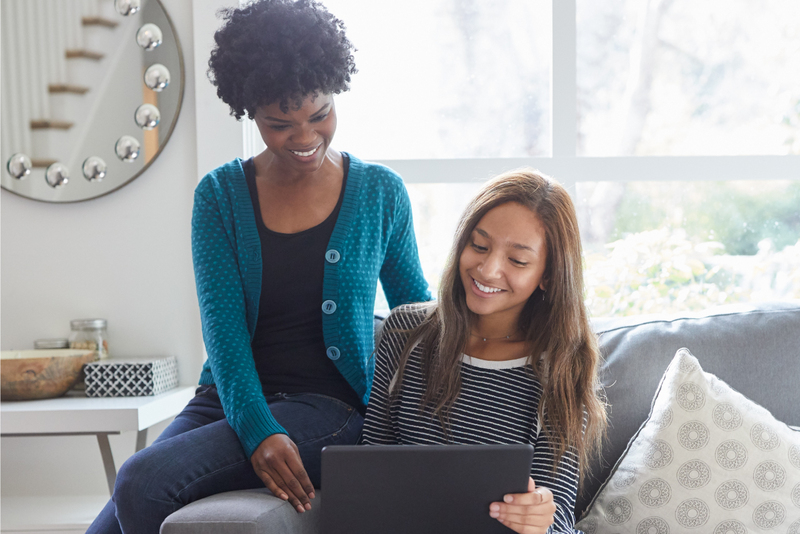 You will likely be asked to upload specific year tax returns, W-2 forms, and other financial aid documents for yourself and all of your parents. Parent documents are uploaded by following the same process as the student. Making sure your family information is correct. This is important to prevent processing delays. When you first sign in to your dashboard, and anytime you upload documents, you will be asked to verify family information. Please take the time to ensure it is correct. To make sure your documents will be considered on time, submit your required documents by midnight Eastern Time of your earliest deadline. Your required documents and school deadlines are provided on your dashboard after signing in. In some cases you'll be required to print and sign a financial aid form. You may need access to a printer. Remember: You'll be notified by the College Board if you need to submit documents through IDOC. Until you are notified, you cannot sign in to IDOC. View your financial aid deadlines. Upload required financial aid documents. Have a question or need help with signing in? Chat live or speak by phone with one of our representatives. Find resources, benefits, and more information on IDOC on our Education Professionals site.